Description: Eighteen years after discovering the murdered body of her grandfather in the foyer of the historic Galvez Hotel, Sydney Lockhart reluctantly returns to Galveston, Texas to cover the controversial Pelican Island Development Project conference. Soon after her arrival, the conference is cancelled; the keynote speaker is missing. When his body turns up in the truck of Sydney's car, she's hauled down to the police station for questioning. The good news is Sydney has an alibi this time; the bad news is she finds another body-her father's new friend-he's floating face down in a fish tank with a bullet in his head. 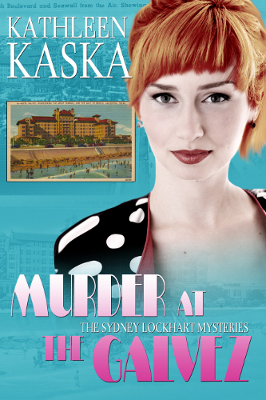 Her father's odd behavior and the threatening notes delivered to her hotel room leads Sydney to suspect that her grandfather's unsolved murder and the present murders are connected. 280 pages. Viewed: 3,312 times since November 30, 2012.